M.D., D.G.O., D.F.P., F.C.P.S., Dip. N.B.E. 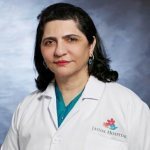 Dr. Firuza Parikh is regarded as one of the best IVF and Female/Male Infertility expert in Mumbai, India. Dr. Parikh has over 29 years of experience in ART, Assisted Reproduction, IVF, ICSI, Sperm / Egg & Embryo Freezing, Surrogacy, Donor Eggs, Male Infertility. Dr. Firuza Parikh is pioneered Pre-Implantation Genetic Screening in India. She is Director in the Department of Assisted Reproduction & Genetics at Jaslok Hospital. Over ten thousand babies have been born under Dr. Firuza's treatment. Dr. Firuza Parikh is a Top IVF Specialist and Assisted Reproduction Expert in Mumbai, India. She is currently the Director – Dept. of Assisted Reproduction & Genetics at Jaslok Hospital, Mumbai, India. DR Firuza is responsible for South-East Asia’s first ICSI baby Luv Singh, in 1994. She performed the first PGD pregnancy in India. First Laser Assisted Hatching & TESA pregnancies in India. Over 10000 babies born. Editor-in-Chief, Fertility & Sterility Indian Edition. Editorial Board Member, Fertility & Sterility, U.S.A.
Dr Parikh has the following awards and recongnitions: 1995: The All India Ratna Shiromani Award for pioneering work in the field of Obstetrics and Gynaecology. 1995: Outstanding Young Indian Award given by the Indian Junior Chamber. 2001: Listed by the National Institutes of Health Registry (USA) for research in Embryonic Stem Cells 2001: Felicitation by Organisation of Pharmaceutical Producers of India for outstanding research in Stem Cells. 2001: The M.D. Adatia Oration Award – Bombay Obstetrics and Gynecology Society Annual Conference. 2002: Kuvadia-Shah-Vora Oration Award on Stem Cell Therapy – Implications & Importance, by The Bombay Medical Association. 2006: Woman of the Year Award - Zonta International Organization. 2006: Zee Astitva Award for Science and Technology. 2007: Hindustan Times Woman of the Year Award 2009: F ICCI FLO Women Achievers Awards 2009 ""Excellence in the field of Medicine” 2012: Women in the Driving Seat Award by Lavasa Women’s Drive for Science and Medicine 2012: L'Oreal Paris Femina Women Awards 2012 for Science and Innovation. 2014: Selected as Woman of the Year 2014 by Limca Book of Records. 2014: ‘All India Survey’ by Indian Express lists Dr. Firuza Parikh in the top 10 Doctors of india. 2015: 100 most Powerful Women of Asia Award 2015. Appointments : 1. President – Indian Society for Assisted Reproduction (2003-2006) 2. Member – Monitoring Committee: Developing cells and tissue engineering – Council of Scientific and Industrial Research (CSIR) 3. Recognized guide for MSc and PhD, Mumbai University 4. Editor-in-Chief, Fertility and Sterility Indian Edition 5. Editorial Board: Fertility and Sterility, USA 6. Recognized teacher and guide for DNB, National Board of Examinations (2014).